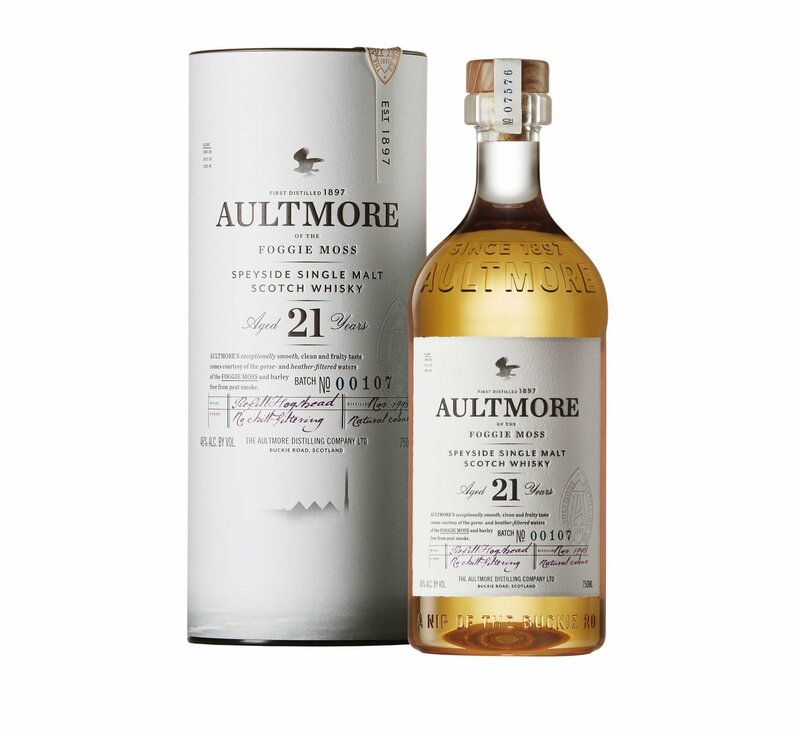 Speyside-based Aultmore came under Bacardi’s Dewars brand ownership in 1998, and like its sister brand Craigellachie, most of its production is pumped into Dewars blends. Here’s an outlier: A 21 year old single malt, a reprise of a release of the same age that dropped in 2014. Curious how things have changed in the last five years? Let’s tuck in. The bold attack I described in 2014 remains palpable in 2019, kicking off with a nose that I’d still describe as austere, with a heavily toasted, nutty character that shows a bit of greenness (and mint) around the edges. The palate is quite buttery and nutty, less fruity than I remembered, with a sharp grind of black pepper and cloves in the mix. The body is rich, almost unctuous, at times, throwing a velvet blanket over the proceedings, giving the finish a lengthy, robust character that finally brings forth the fruit. Though somewhat muddy at times, it remains a stalwart experience.